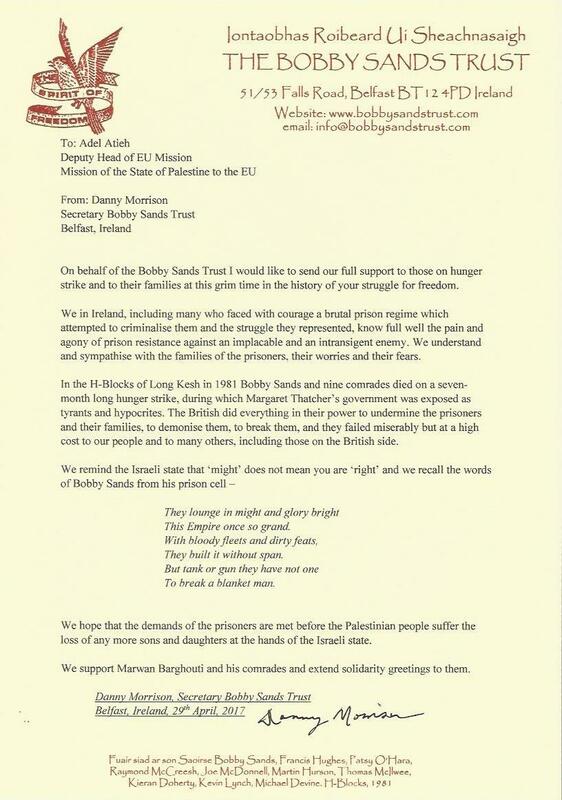 The Bobby Sands Trust has sent a letter of solidarity to the Palestinian prisoners currently on hunger strike and to their families, expressing support for their cause and wishing them success in achieving their just demands. These include the right to family visits which Israel, on paper, allows but then refuses permits for families to cross into Israel. 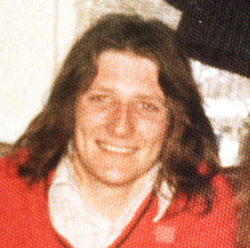 On behalf of the Bobby Sands Trust I would like to send our full support to those on hunger strike and to their families at this grim time in the history of your struggle for freedom. We in Ireland, including many who faced with courage a brutal prison regime which attempted to criminalise them and the struggle they represented, know full well the pain and agony of prison resistance against an implacable and an intransigent enemy. We understand and sympathise with the families of the prisoners, their worries and their fears. In the H-Blocks of Long Kesh in 1981 Bobby Sands and nine comrades died on a seven-month long hunger strike, during which Margaret Thatcher’s government was exposed as tyrants and hypocrites. The British did everything in their power to undermine the prisoners and their families, to demonise them, to break them, and they failed miserably but at a high cost to our people and to many others, including those on the British side. This Empire once so grand. They built it without span. To break a blanket man. We hope that the demands of the prisoners are met before the Palestinian people suffer the loss of any more sons and daughters at the hands of the Israeli state. We support Marwan Barghouti and his comrades and extend solidarity greetings to them.